Hashtags are an important aspect of social media strategy. They help organize conversations around a topic, create massive insight for marketers to understand what drives shares and likes from users, and can become a lever for enabling brand influence. Hashtags are also a way to connect several campaigns together, even those managed offline (there are hashtags in many TV commercials as well). It all makes it obvious why every kind of business needs to treat them seriously. Which hashtag to use for a campaign? Who else is using the same hashtag? Which user segments will be attracted to this hashtag? How does it perform compared to a competing hashtag for a similar campaign? This is where I pitch in. I will tell you what are some of the best-rated tracking and analytics tools, specifically suited for tracking all your hashtag campaigns. So let’s get started. Brand24 gives you real-time access to all mentions of your hashtag across different social media platforms. You can identify high potential influencers, get sentiment analyses for quick understanding of contextualized (negative, positive, or neutral) mentions, and respond and react to customer messages instantly. It also allows you to distribute work across collaborators and enables grouping of results around specific keywords, topics, and word clouds. The platform is easy and intuitive to use, quick (you get results within 5 minutes), fully automated, and comes with an accessible demo. It also differentiates itself by letting you pitch direct sales messages to people searching for your brand with information searched or purchase intent. Available as both iOS and Android apps. Comes with keyword quota limits. Photo and video focused social media sources are lumped together, making it cumbersome to get a thorough understanding of the data. Archives only a year’s data, which might be a concern for brands that manage social media campaigns spread over longer durations. Mention is an end-to-end social media monitoring and tracking suite that tracks hashtags in real time. You can either conduct online searches or can get daily alerts with aggregated information of hashtag mentions from the previous day. Apart from providing basic data around reach and share, you can also get insights on influencer identification, frequency and volume of hashtag used, and several other important aspects. The Mention dashboard becomes your one-stop destination to manage everything about your hashtag campaigns. By offering task assignment and work sharing features, Mention enables collaborative operations for your marketing team. 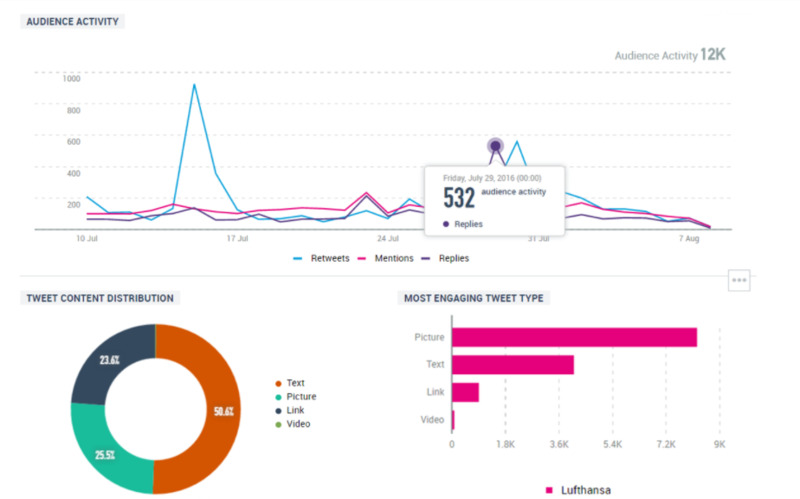 You also get customized reporting and influencer scores for particular hashtag campaigns. Find related stories pertaining to your hashtags. Android, iOS, and Windows app. Segregate positive and negative mentions through Sentiment Analysis. ‘Priority Inbox’ algorithm flags some unimportant mentions that may cause wastage of time and resources. The user reviews of Mention mobile app are just average. 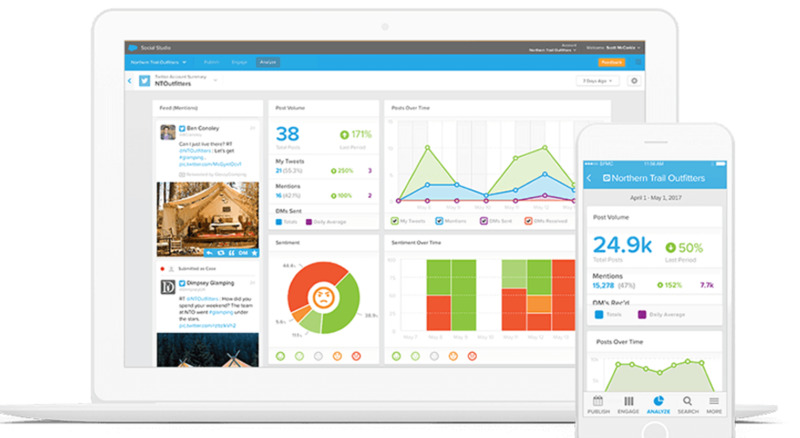 Powered by SalesForce, Social Studio is a social media monitoring and analytics suite that works particularly well for hashtag tracking. Create a tracking campaign, and you will get insights from all social media accounts to get an idea of how audiences are engaging with the hashtag across platforms. You can create fresh topics and trends using Social Studio’s customizable dashboard. You can also drill down and see post content and read every comment that mentions your hashtag. With machine learning-powered image and sentiment analysis tool, Social Studio helps you easily understand the context in which audience discusses your hashtag. Plus, audience posts can be automatically prioritized and routed to your team members for follow up actions. Fully integrated in SalesForce’s Marketing Cloud Product. Unified platform to organize several social media and hashtag campaigns. Review stats, reposts, overview, and customer or post level responses, right from the dashboard. The UX is not the most convenient or impressive among similar social media listening tools. There are too many hidden functionalities that make it complicated to use. Brandwatch helps you track social media mentions, from general comments on posts to specific conversations such as complaints. You can easily set up a dashboard for tracking a hashtag campaign in the Campaign Tracking Wizard. It lets you use queries and operators to manage hashtag tracking campaigns as specific as you want. The Brandwatch Dashboard and Query Wizards let you provide details of the campaign, such as hashtags, campaign website, specific landing pages, and link to particular content. Once ready, the Dashboard shows you the campaign results from last 24 hours, along with spikes and dips. You can easily use this view to understand the context of hashtag mentions and can identify influencers that might help multiply the popularity of the hashtags. Easy to use Campaign Tracking Wizard. Livestream Tab provides real-time mentions of hashtag campaign. Insight related to key themes and content that drive engagement. Brandwatch Audiences helps identify potential influencers not tapped yet. Price is comparatively higher as compared to other premium tools like Brand24, for a similar package of functionalities. Sysomos helps you search for hashtags, create visually insightful analytics, and enables real-time listening of audience conversations around your hashtags. Engage in conversations, publish content, and distribute work among team mates – all using this tool. Sysomos’ ‘Heartbeat’ tool monitors up to 2 years of data and real-time conversations in 190+ languages. It checks all social media platforms, popular blogs, and news sources to curate the information. You can easily tag different conversations and compare them against one another to identify opportunities for engagement. Advanced campaign monitoring and tracking. Real-time alerts to manage crises situations. 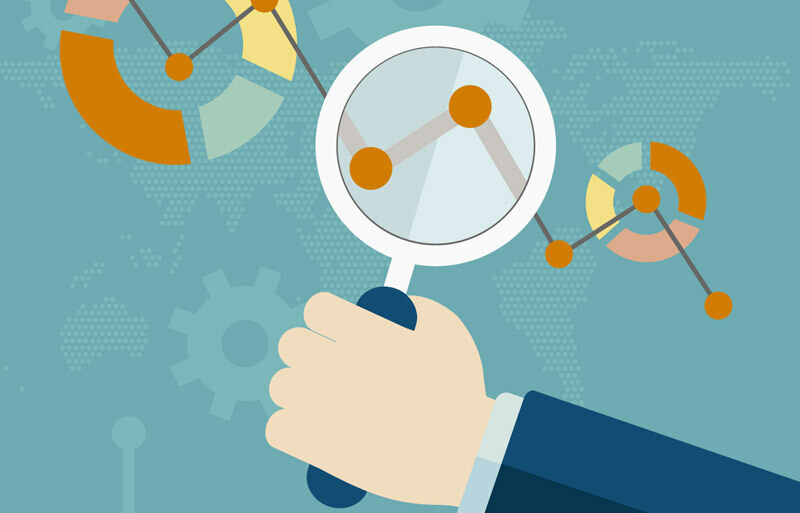 Workflow management, in-app reporting, content creation, and community analyses. Data visualizations tend to take a bit longer. The prices tend to mount quickly as you scale up the features. Talkwalker tracks hashtags used across social media platforms, online news portals, blogs, and forums. It covers 150 million websites, dozens of languages, offline as well as online channels, including TV and radio broadcasts. Its proprietary image recognition technology, superb analytics, and automated reports make it a great hashtag tracking and analytics tool. Single dashboard to show all hashtag campaign metrics. Insights on top performing channels, reach and engagement, and influencer identification. Sentiment analysis and reporting capabilities are not quite powerful as compared to other tools in this list. Though there are dozens of potent social media analytics tools, not all of them deliver great results when it comes to tracing and analyzing hashtags. However, the tools discussed in this guide have proven effective in helping marketers quickly manage multiple hashtag campaigns and get great results powered by the insight these tools can produce. In my experiments with all these tools, Brand24 was the easiest and also the most empowering to work with. The Guardian view on translation: an interpretative and creative act Why do human beings speak so many languages?